Have plans yet for the weekend? It’s not too late! We’ve found 10 fun events (something for everyone!) that won’t break the bank. Take a look at our picks of fun, free and cheap things you can do around Charm City this weekend. As always, be sure to check the websites or call ahead to confirm events are going on as scheduled. 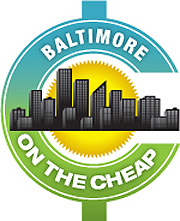 If you’d like to keep up with the latest free & cheap events, deals, and discounts around Charm City, be sure to sign up for the Baltimore on the Cheap Newsletter. You can also follow us on Facebook and on Twitter. Light Ships in the U.S.
Join retired Navy Captain Greg Krawczyk aboard Chesapeake Lightship and learn how lightships, and not lighthouses, were for years the primary navigation aid for ships on the Chesapeake Bay. Part of Historic Ships in Baltimore’s Evening Mariner series. Kip Moore is coming back to Power Plant Live! for Hot Country Night Series presented by 93.1 WPOC and Miller Lite. Opening acts are Tenille Townes and Kenton Bryant. Buy tickets here. Enjoy lawn games, à la carte food like popcorn shrimp, lobster rolls, eggplant dip, shishito peppers, turkey sandwiches, ceviche, and select raw bar offerings and music. All events are dog, kid and family-friendly. Feel free to bring blankets and lawn chairs to enjoy the waterfront view. Fan of The Office? Then head over to The Outpost River Tavern for Brunch Trivia. They will be serving Three Olives Vodka Bloody Mary’s, The Kraken Rum Dwight and Stormys, and Mifflin Mules in a Tiki Bowl, too. Tables are first come first served. Doors open at 10am. The 8th annual Serenade! Washington D.C. Choral Festival is returning to Patterson Park and will honor Nelson Mandela’s 100th birthday. In the legacy of peace and global understanding, this concert will feature Betsayda Machado and Perranda El Clavo from Venezuela, the Mongolian Ensemble, Tyva Kyzy Ensemble from the Tuvan Republic and the Chennai Children’s Chorus from India. Register here. Generation Parkway is a new family-friendly film series, showing Saturdays at 1:30pm at the SNF Parkway Theatre. This Saturday’s screening is the historical French animation Zarafa. Inspired by the true story of the first giraffe to visit France, Zarafa is a sumptuously animated and stirring adventure, and a throwback to a bygone era of hand-drawn animation and epic storytelling set among sweeping CinemaScope vistas of parched desert, wind-swept mountains and open skies. Black Professional Men in partnering with several other organizations to bring awareness to black chefs, restaurants and food service providers. The event will showcase over 10 chefs. Food will be available for tasting before purchasing your new favorite items. The proceeds will go towards various community activities. Purchase tickets here. Mexican On The Run food truck is celebration its two year anniversary by throwing a fiesta Monument City Brewing Company. Cocina Luchadoras and amigo CHARM CITY POPS will be onsite selling their Mexican eats and Popsicles, so come hungry. Fun fiesta activities include live music, free face painting for the kids, free balloon animals and free Jenga, ping pong and corn hole. Of course, beer and food will be on hand. This event is kid and dog friendly. Released 35 years ago, this is the film that made Tom Cruise a star. In case you don’t remember, watch the trailer below. The 1980’s classic is about a Chicago teenager looking for fun at home while his parents are away, but the situation quickly gets out of hand. Also starring Rebecca De Mornay. Now, you can watch it on the Big Screen at the Senator. This fun family-friendly event features crafts, crazy hair, lawn games, music fun, stilt walking, hula hoops, snacks, and more. Be sure to come with crazy socks and outfits. Coffee and sweet will be available for purchase. Brought to you by (cool) progeny and Downtown Partnership of Baltimore.